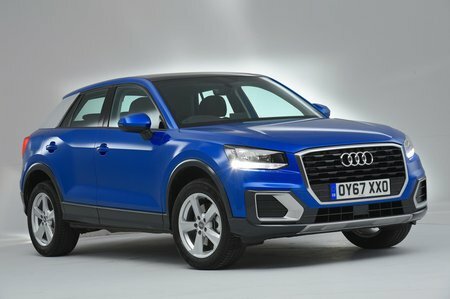 Audi Q2 Performance, Engine, Ride, Handling | What Car? Although the 2.0 TDI 150 is the punchiest diesel in the range, you can order it only from mid-spec Sport trim with an automatic gearbox and quattro four-wheel drive, making it a pricey option. Therefore, anyone looking for low running costs with decent performance will find the 1.6 TDI a better bet. It's not outright quick, but it delivers good pulling power from low to mid revs, so will haul a Q2 full of people and luggage along quite happily. Three suspension options are available. All models come with the softer dynamic suspension as standard, but on S line models you can go for a firmer sports suspension for no extra charge. If you buy either Sport or S line trims, you can pay to upgrade to an adaptive suspension system. This allows you to switch between a softer ride for comfort or a firmer setting for sportier driving. Both the dynamic and adaptive systems manage to smooth the edges off sharp bumps and ridges well enough, although with the standard option the ride is firmer and more unsettled along typical pockmarked urban roads. We’d avoid the sports suspension, since it’s even more unforgiving over imperfect asphalt. Since the differences between dynamic and adaptive suspension are relatively small, we’d recommend trying both set-ups before forking out the extra for the latter option. We’d also suggest sticking to the smaller 17in alloy wheels for the best ride comfort. The Q2 shares a platform with the A3 hatchback. That's a car that handles pretty sweetly, so it’s no surprise that the Q2 also corners well. Sure, being a jacked-up SUV introduces a touch more body lean than you'd get in the lower-riding A3, but the Q2 still corners more flatly than many of its SUV rivals, including the Mercedes-Benz GLA. It even out-handles the Mini Countryman. Although the optional sports suspension certainly helps to keep the Q2 more upright than the dynamic option, we’d say it’s not worth the reduction in ride quality. In fact, this is where the adaptive set-up comes into its own, allowing you to stiffen the suspension should you want to corner quickly. There’s also lots of grip in bends and, if you order the four-wheel-drive version, plenty of traction when pulling out of side turnings. All versions come with Audi’s progressive steering. This means the steering gets quicker the more you turn the wheel, so fewer turns are required when parking and manoeuvring, but the car still feels stable at motorway speeds. On higher trims, you also get a drive mode switch to alter the weight of the steering; the lighter Comfort setting is preferable to the overly heavy and supposedly sporty Dynamic option. The 1.0 TFSI 116 is a raspy three-cylinder engine and, although you can hear it buzzing away, it’s not an unpleasant sound. The 1.4 TFSI 150 is smoother at low revs. However, when you work it hard, it becomes slightly coarse, with a gravelly tone as the revs climb higher. The 2.0 TFSI is smoother still, with a pleasingly sporty sound near the top of the rev range. Although both the diesels are well mannered, keeping the interior free from unwanted vibrations and staying relatively quiet, the 2.0 TDI 150 is the sweeter of the two. However, its dulcet tones are not impressive enough for us to overlook its sizeable premium over the 1.6 TDI. 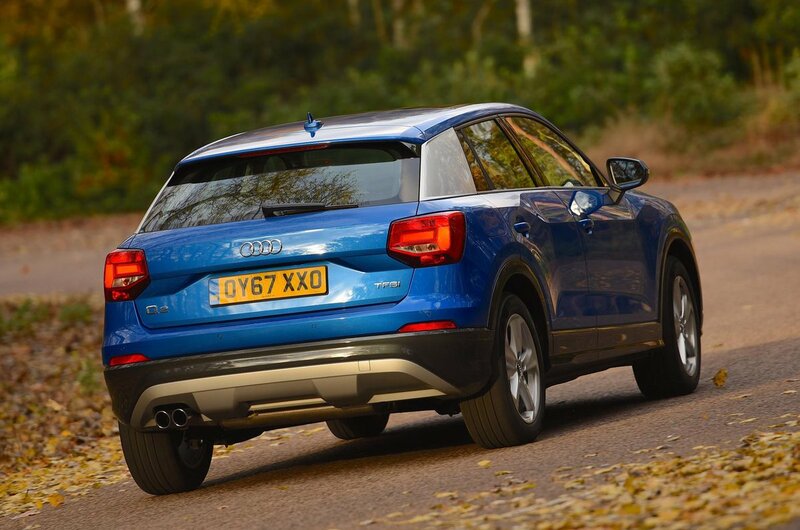 At motorway speeds, the Q2 cruises fairly quietly. 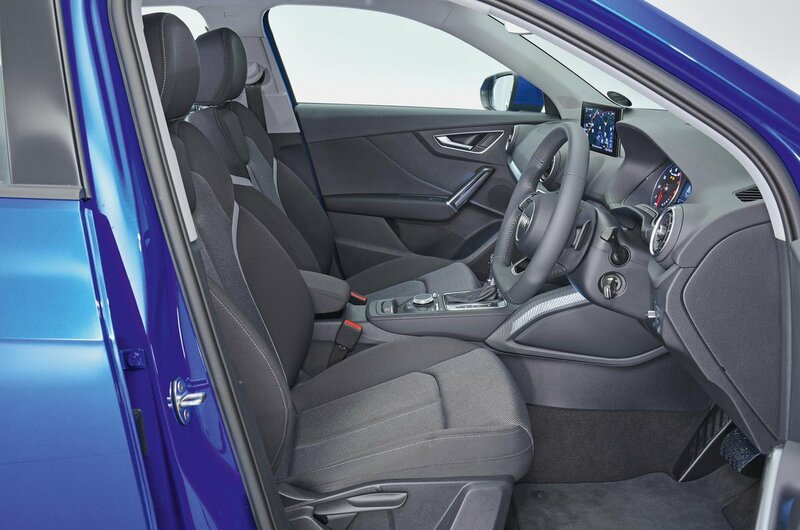 Little wind noise enters the passenger compartment, so it’s a relaxing car to take on long journeys, although there is some road noise – particularly on models with larger alloys wheels. The six-speed manual gearbox is light and slick, and the clutch bites positively. Combined with the well-weighted and progressive brakes, this makes the Q2 an easy car to drive smoothly in stop-start traffic. The dual-clutch S tronic auto 'box, which is optional on most models and standard on the 2.0 TDI 150, shifts smoothly through its gears. It's a bit jerky in stop-start traffic, though.